Wondering what to do with all those old tax or legal documents you no longer need? Don’t just throw them away, making yourself vulnerable to identity thieves. 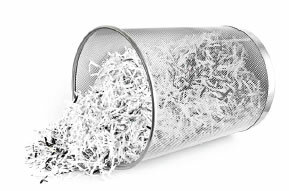 Shred them for free at LMCU’s bi-annual Shred Your Stuff Day. Limit of eight boxes per car, please. For more details, visit the Member Perks page at LMCU.org/Perks. Or call (616 or 800) 242-9790.